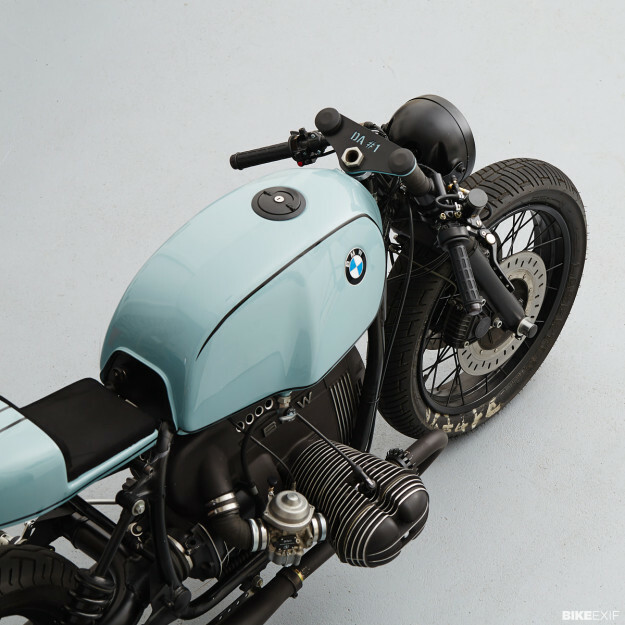 The BMW R80 ticks all the boxes for custom builders. It’s reliable, simple to work on and cheap to buy. And, as with all R-series airheads, it looks pretty good straight out of the box. Unfortunately, the popularity of the venerable BMW means it’s edging into cliché territory: most customs look pretty much the same. 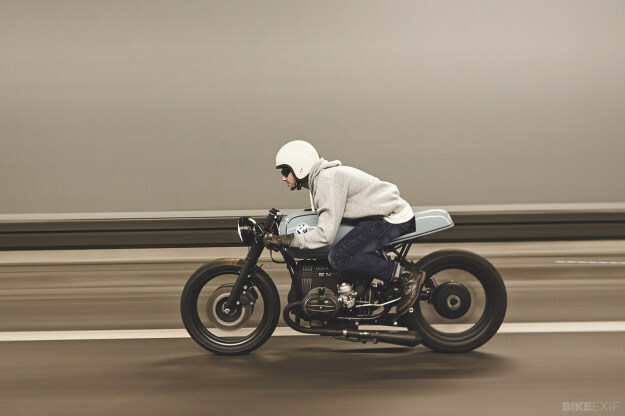 The R-series is ripe for a fresh approach, and here it is—courtesy of two young, first-time builders from Munich, just down the road from BMW’s own headquarters. 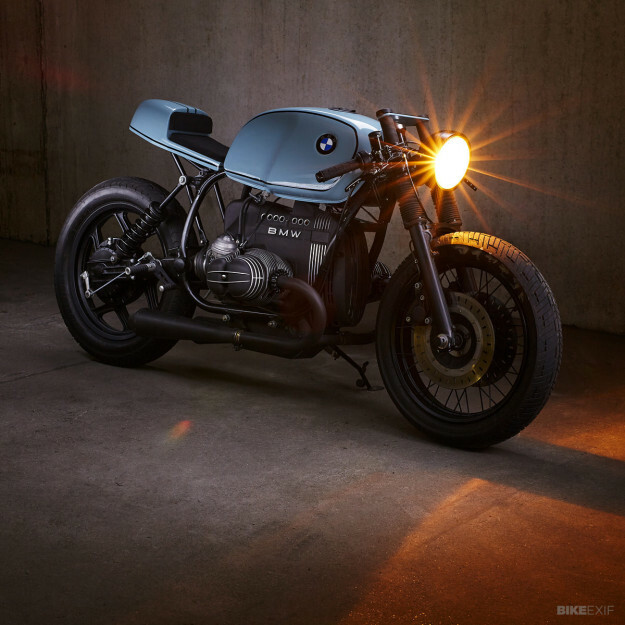 Believe it or not, this 1992 BMW R80 RT is Tom and Pablo’s first build. Tom has owned the bike since he was 17, and felt it was time for an overhaul. 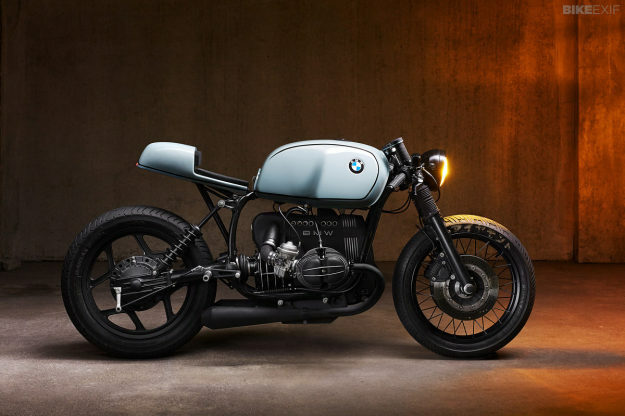 Hardly anything from the original BMW R80 remains. The 18” spoked front wheel and floating brake discs are from an R100R; they’re now hooked up to a Brembo PSC-16 brake master cylinder and Brembo calipers, via stainless steel hoses. The forks have been lowered three inches to improve stance, and are clamped by custom upper triples. Top-flight controls are fitted to Fehling clipon bars—including Magura levers and a Tommaselli quick-action throttle system. 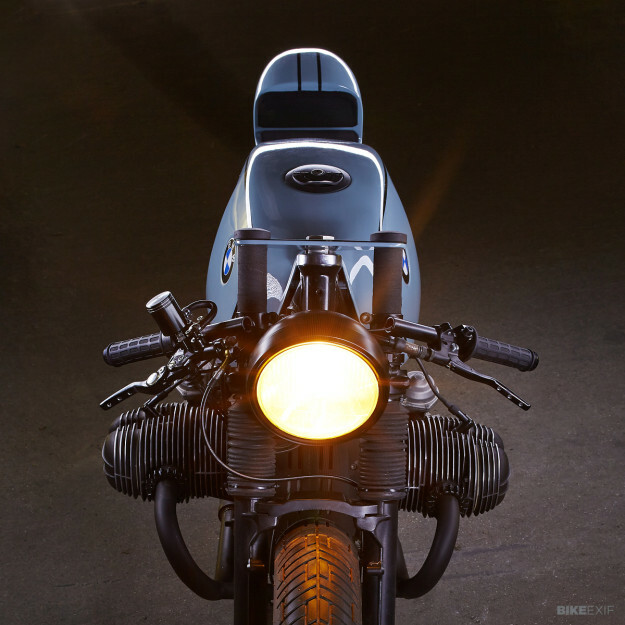 The headlight is a combination of Yamaha and Honda parts. The componentry is beyond approach, but it’s the perfect lines that catch the eye. To match the angle of the new seat unit, Tom and Pablo lifted the fuel tank a couple of inches. The tail section is crafted from fiberglass and padded with industrial-grade caoutchouc—a natural rubber compound. “We built the entire rear frame from scratch,” says Tom, “and made it about 15 centimeters narrower, to give the bike a sleek and lightweight look.” The rearsets are from Tarozzi and underneath the seat is a featherweight Porsche GT3 Cup car battery. 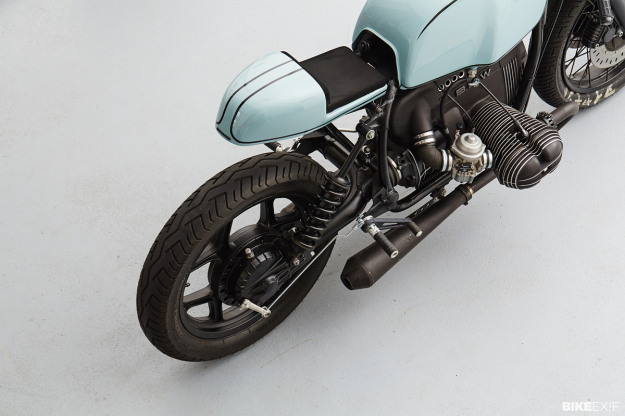 Diamond Atelier have kept the stock exhaust headers, but ditched the middle silencer and fitted short cone pipes—which have custom-made inserts to pass the strict German TÜV regulations. 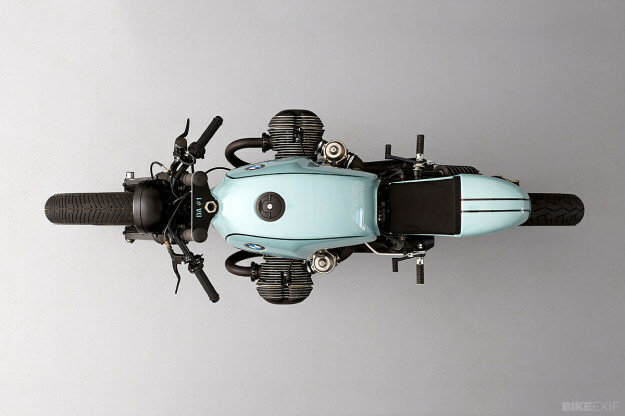 Little touches help to give the bike its highly crafted feel. The frame has been completely de-tabbed and cleaned up, and new housings were designed for the alternator, starter and shaft drive. Round valve covers and air filters complete the look.